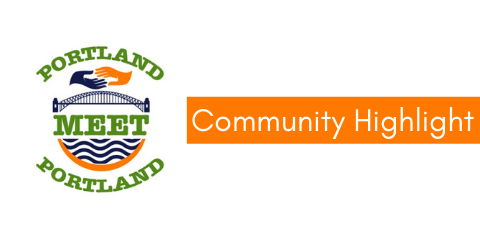 Portland Meet Portland is a non-profit 501c3 that was started in 2014 to highlight the beautiful assets that diverse immigrants and refugees bring to their new homes here in Oregon. 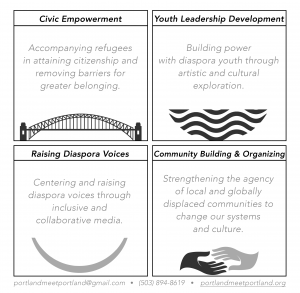 Portland Meet Portland uses creative arts, storytelling, media, community organizing, and civic engagement to create experiential opportunities for cross-cultural friendship, mentorship, and dialogue. Through these, we cultivate trust, collaboration, and celebration to create equity and justice and desegregate Portland for new cross-cultural community. PMP’s programs work to accomplish four key things in concert with immigrants and refugees: enhance immigrant and refugee VOICES, enhance their AGENCY and access to power in society, ADVOCACY through developing strong allies speaking in concert with them, and ACCOMPANIMENT through community members supporting immigrants and refugees in walking their own journey. Over the last year, Portland Meet Portland has built a multimedia and podcasting program called Stories from the Diaspora, started an after-school and intensive week-long summer music program called Pass the Mic, run over 20 cross-cultural dialogues and DEI workshops around Oregon, served 50 refugees in supporting them toward gaining citizenship, and much more. Check out the podcasts below. 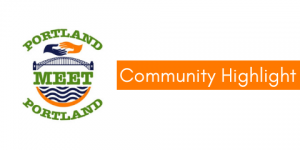 Reflections on Common Grounds: This podcast was a partnership between Portland Meet Portland and the Portland Art Museum. In this 4-part series, we talked with local refugees, exploring the continuum of life as a refugee in Portland, Oregon and reflecting on the Common Ground exhibition which features photographs of refugees by Fazal Sheikh. Deconstructed Podcast: The project Possible Portland starts with our podcast which, in its first episodes speaks with a woman who has experienced ongoing houselessness and displacement as well as with someone who is working within the system and against its failings.